The average Sydney mortgagee can barely afford to eat while Perth home owners are rolling in cash, according to new research. Onthehouse statistics for April have revealed that Sydney mortgagees are left with an average of $103 of disposable income per week after making repayments on their house. That is based on earning $1,123 of net income per week, to which $1,020 or 90.8 per cent is devoted to paying off the house. Melbourne house owners must spend 70.8 per cent of their $1,009 net income on mortgage repayments, leaving them with $294. Hobart mortgagees are left with $446 per week after spending 47.9 per cent of their $857 net income on paying off their house. Adelaide mortgagees are left with $457 or 50.1 per cent of their $917 net income. Brisbane house owners finish the week with $533 after devoting 49.0 per cent of their $1,045 net income to mortgage repayments. Perth does the best of the state capitals, with residents left with $574 per week, or 50 per cent of their $1,148 in net income, after paying off the mortgage on their house. 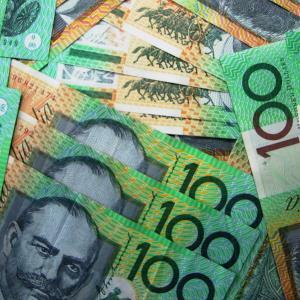 ACT residents have $649 of spare cash per week, based on repaying 47.6 per cent of their $1,238 net income. House owners in Darwin are left with $684 in their pocket from $1,286 in net income after devoting 46.8 per cent to paying off their house. Onthehouse based its calculations based on each state’s median house prices and median incomes.